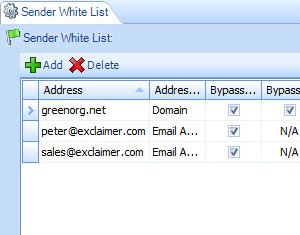 Anti-spam can be worse than spam if it stops the wrong mail – that's why Exclaimer Anti-spam is built to recognize spam in a uniquely advanced way. Exclaimer Anti-spam is no longer available to purchase. Instead of basic word filtering or syntax analysis, we use the Recurrent Pattern Detection® engine from CYREN – which compares every email you receive to global spam traffic trends. It can tell an email is spam because it has an identical fingerprint to millions of other emails being sent from different computers around the world – it's the one thing spam email can't change about itself: it's spammed. As a result, it knows your key client's unique email isn't spam, but an email that's similar to millions being sent all around the world is – even if your contact uses explicit language and the spam contains only commonplace business terms. 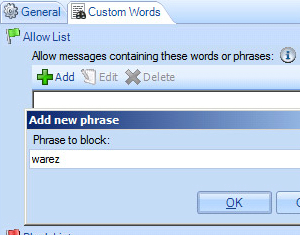 Even if spambots randomize portions of the message or paste grammatically correct content into the message – Exclaimer Anti-spam still spots the similarities in data behind the visible message content. You need the surest way to leave legitimate mail undisturbed. This Exchange anti-spam software uses a spam detection engine that only blocks what real email can never have – millions of near duplicates in thousands of other inboxes worldwide. It can be repetitions in the header data, encoding and more – whether it's sent from thousands of different addresses, in a variety of languages, we can home in on whatever is being repeated and block it based on that. We know you only want to use one console to control everything – so we let you adjust Microsoft Exchange's built-in anti-spam functionality through our interface. 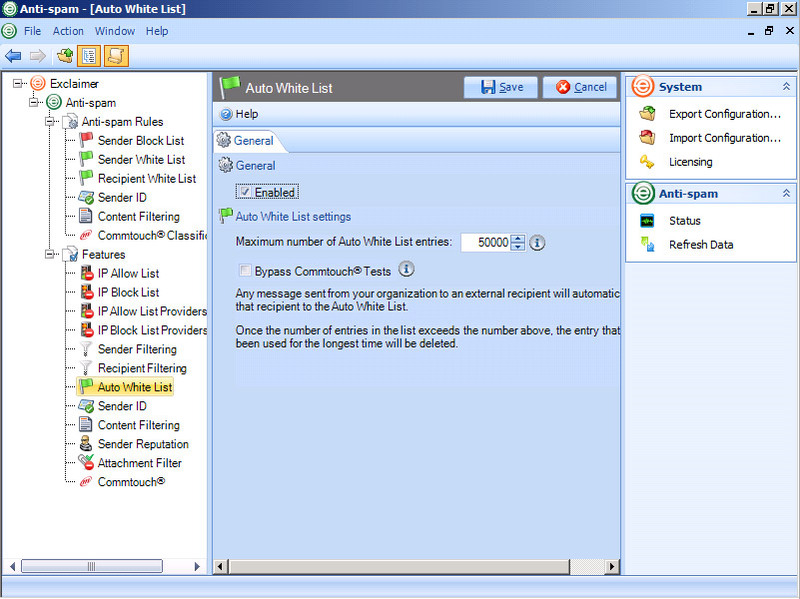 Don't go through PowerShell or swap between one UI and Exchange's Transport Rule, Transport Agent and ABL views – just set and control it all from one central location. 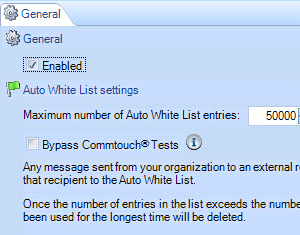 Auto-whitelist anyone you've already emailed and enable other abilities that might take multiple rules and changes to configure through Exchange – in a single click. 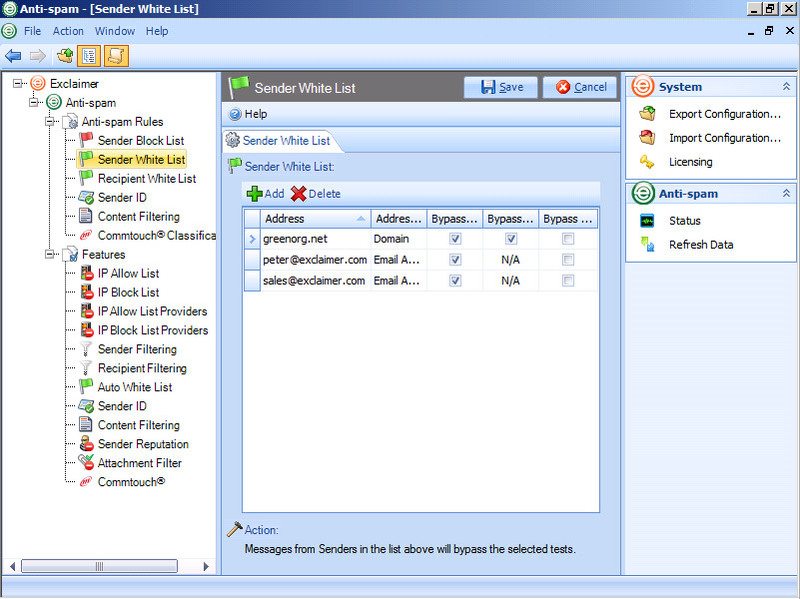 It's not just about enhancing anti-spam capability – it's also about simplified anti-spam administration. 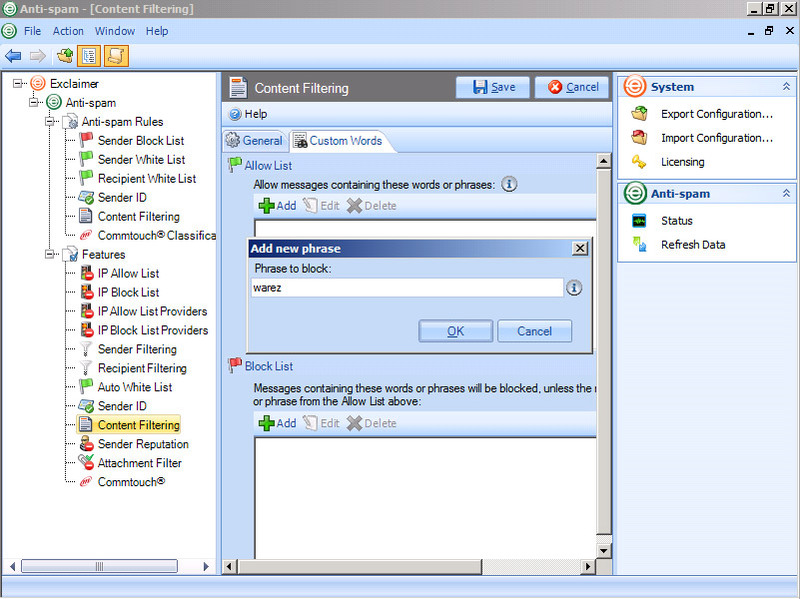 Exclaimer Anti-spam works the way anti-spam should – spam doesn’t reach my inbox, and mail doesn’t get stuck in my spam-filter. CYREN are a communication security software company with partners like Microsoft, Google, Toshiba and other massive, multi-national technology firms. Exclaimer has worked with CYREN for over a decade – we understand each other. Their 20-year reputation is one we know our tools and our users can depend on. We understand the Recurrent Pattern Detection® engine they provide to Exclaimer Anti-spam is the height of anti-spam technology – dynamic, unique and made to match your business's needs.